"In life and in politics, the most important work is often that which happens outside the wire." 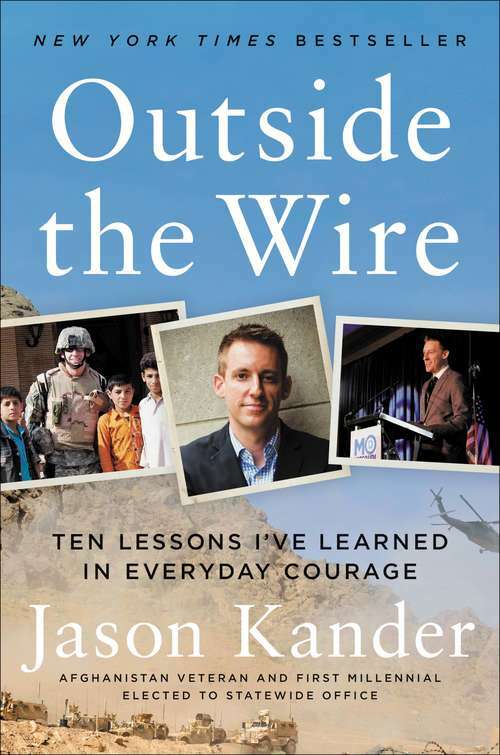 Going "outside the wire" -- military lingo for leaving the safety of a base -- has taught Jason Kander to take risks and make change rather than settling for the easy option. After you've volunteered to put your life on the line with and for your fellow Americans in Afghanistan, cynical politics and empty posturing back home just feel like an insult. Kander understands that showing political courage really just means doing the right thing no matter what. He won a seat in the Missouri Legislature at age twenty-seven and then, at thirty-one, became the first millennial in the country elected to statewide office. An unapologetic progressive from the heartland, he rejected conventional political wisdom and stood up to the NRA in 2016 with a now-famous Senate campaign ad in which he argued for gun reform while assembling a rifle blindfolded. That fearless commitment to service has placed him at the forefront of a new generation of American political leaders. In his final interview as President, Barack Obama pointed to Kander as the future of the Democratic Party. "...do something rather than be something..."